Navy blue to start off March. 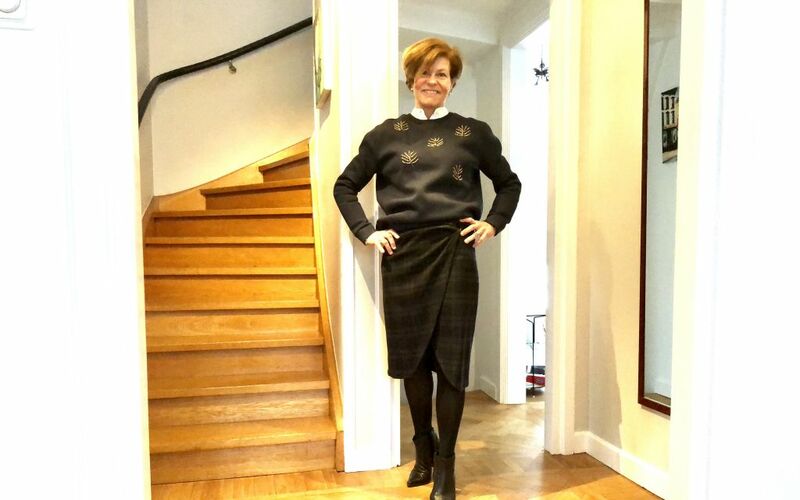 Pairing my plaid wrap skirt with a non formal sweater, a crazy hairdo and invisible silver jewelry. 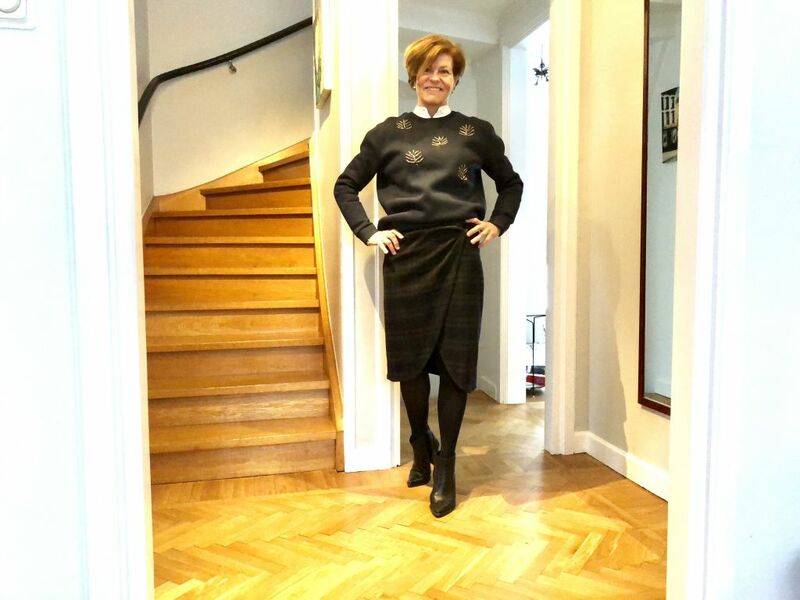 Sweater is slightly bulky and boxy in style which is to create the contrast with the classic pattern of the skirt – as I said earlier this week – contrast is good!